Liz Bryan and her husband, photographer Jack Bryan, were the founding publisher and editor of Western Living magazine, which they started in 1971. 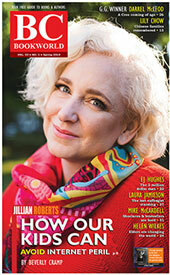 Liz Bryan wrote Country Roads of B.C. and Southwestern Alberta (Sunflower Publications 1991), plus a perennial bestseller, Backroads of British Columbia, both accompanied by Jack Bryan's photos. Her other books are British Columbia: This Favoured Land (Douglas & McIntyre 1982), Buffalo People: Pre-contact Archaeology on the Canadian Plains (Heritage 2005), which looks at the prehistoric Native peoples of the prairies, Stone by Stone: Exploring Ancient Sites on the Canadian Plains (Heritage 2005, 2015), Country Roads of Alberta (Heritage 2007), and Country Roads of Western BC (Heritage 2011). 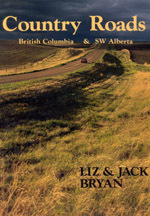 When Liz Bryan was living in Rock Creek, B.C., Country Roads of British Columbia (Heritage 2008) was re-released, focussing on 18 picturesque journeys. "Discover the hidden depths of Canada's prairie past in Stone by Stone: Exploring Ancient Sites on the Canadian Plains, a new book by Liz Bryan. From medicine wheels to projectile points, and from petroglyphs to effigies, Stone by Stone is a unique guidebook that takes the reader on a journey that includes buffalo jumps, vision quest sites, enigmatic cairns, and more. "The prairie past belongs primarily to the First Nations, the inhabitants of what is today Southern Alberta and Saskatchewan-a huge expanse of billowing grassland-for at least 12,000 years. Before European settlement, they were nomads, anchoring their lives only to the buffalo, upon which they depended for virtually everything: food, shelter, clothing, implements. Touching the land only lightly in their seasonal buffalo rounds, the first people nevertheless left signs of their passage-in enduring stone. "Lying on the land where they were placed centuries ago, the stones are hard and evocative evidence of ancient lives as compelling as any Old World monument-and, in some cases, far older. Many of these sites can be visited today. Stone by Stone is a guidebook to these places, with directions and explanations. While examining the historic past of the First Nations, the book also celebrates their vibrant present, for many are eager to share their legends and traditions. Native interpreters bring the past-their past-to life at many internationally famous sites, such as Head-Smashed-in Buffalo Jump, Writing-on Stone, and Wanuskewin."